Home / Best Instruments / Enter to Win a Simmons SD600 Electronic Drum Set! Designed for the drummer who wants a rock-solid electronic drum kit for practice, rehearsal and recording, the Simmons SD600 mesh head kit is ideal for players who crave an acoustic sound/feel and best-in-class features with simple, wireless connection to apps and computers. We want to see creative ways YOU can use these kits on some new tracks or even live on-stage. So, experience with electronic drums, beat-production and music production is a definite plus. The two winners we choose will chronicle their behind-the-scenes usage of their new kits through video and social media, as they incorporate them into their studio (and hopefully live) set-ups. 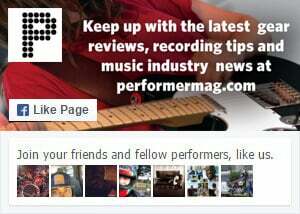 They will also be featured on performermag.com and in an upcoming print issue. Cool, huh! Scroll down for more detailed info about the SD600, and good luck! Entrants must be from the Continental United States. Two winners will be selected to receive brand-new Simmons SD600 electronic drum kits, and we’ll announce the selected winners via performermag.com no later than 14 days following the close of submissions. Please note that we will not share, rent or sell your data. Deadline to enter is May 10, 2019. Good luck! The SD600 comes complete with double-layer, tension-able, dual-zone mesh heads, including all toms and snare for the ultimate in acoustic feel and playing response.